How should our view of sin and total depravity affect the way we view institutions that mete out justice and righteousness? Should it really shock us if human fallenness reveals itself not only in the broken interactions of individuals but also in the institutions we’ve created? These are questions believers must grapple with as we engage in conversations about injustice. And a new and powerful voice has been added to that conversation: Ava DuVernay’s documentary 13th. DuVernay argues the clause “except as a punishment for crime” became a loophole enabling the mass captivity and exploitation of black Americans to continue, even 150 years after the abolishment of slavery. This is quite a provocative argument, and as I watched the film I interrogated its assumptions. I wondered, Is not the explosion of the prison population simply the result of more crime perpetrated by criminals who belong there? Is the claim that poor minorities are targeted for incarceration an excuse for their own bad decisions? Does this documentary reveal the effects of sin on our justice system? An examination of Old Testament history reveals that government-sanctioned exploitation of whole communities is not only described but condemned by the God of Israel. It’s not a story foreign to the Bible (e.g., Amos 1:6). Nonetheless, finding parallels in a post-antebellum American democracy is difficult for several reasons. Here are three. 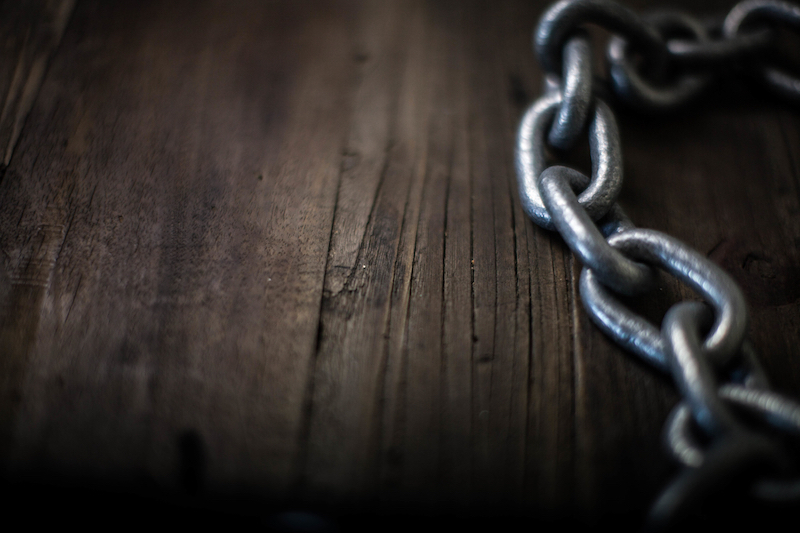 First, we’re taught to think of slavery and legal race-based discrimination as something that ended with the Emancipation Proclamation and the 13th Amendment. Our own sense of American exceptionalism can create disbelief that injustice could happen today. Second, many of us in the church have been taught to read the Bible through an individualistic lens, which makes it difficult to see and then critique structural inequalities around us. But the appeals of prophets like Amos make it clear God is not bound by this narrow perspective. He confronts individual unrighteousness and social injustice with the same holy indignation. Third, as a result, many like myself have courted a simplistic explanation for the higher rates of incarceration among African-American and Latino men and women: They commit more crime and so encounter the police and the criminal justice system more frequently. 13th reveals these conclusions to be historically incomplete and therefore inaccurate. Though by law the 13th Amendment freed the enslaved population from the control of slave owners, the reality of slavery lived on. Former slave owners and humiliated Confederate sympathizers sought to maintain the antebellum status quo and minimize the amendment’s financial and social implications. After the war “black codes”—laws aimed at restricting the freedom of former slaves—were initiated to control freed men and women once again. So-called black codes criminalized gathering for worship, reading, writing, and even unemployment. They also supported a system of peonage—the practice of holding persons in servitude as part of a penal sentence. The prison system was used to simultaneously maintain control over the movement of blacks and also to exploit their labor through incarceration. Upon imprisonment, those once enslaved were again forced to work for free—as if slavery had never ended. After President Lyndon B. Johnson signed the Civil Rights Act of 1964, Jim Crow laws were banned. DuVernay suggests, however, that the system of racial injustice hadn’t been eradicated, but had simply morphed into something else. DuVernay’s documentary reveals that Nixon’s “war” was primarily symbolic and rhetorical. He exploited the media in order to send the message to supporters that he interpreted the social unrest like they did, that it resulted not from discrimination or racism but from lawlessness against the established order. This narrative played on the age-old fear that blacks are more likely to be criminals. So Nixon’s “war on drugs” offered a solution: Arrest lawbreakers who happen to be people of color. Consequently, arrest rates and the number of prisoners skyrocketed from 356,282 in 1970 to 513,900 in 1980. Lest you think DuVernay’s film is a partisan attack against Republicans, she strongly critiques the Clinton administration as well. From 1993 to 2001, mass incarceration accelerated due to laws like “mandatory minimums,” “truth in sentencing,” and “three strikes and you’re out.” Each worked to disproportionately target poor people of color. For example, the sentencing for crack was a hundred times more severe than for cocaine, even though they’re essentially the same chemical. Why? Because crack was mainly used among low-income minorities, and cocaine among more affluent whites. Despite these revelations, some will argue that higher incarceration rates are simply a matter of African Americans and Latinos committing a higher number of violent crimes. This perspective insists there is no racial bias in our justice system. 13th forcefully advances a both/and—not an either/or—perspective. Nixon’s plan, as detailed by his chief strategist above, marked an evolution of racial discrimination. It politicized the use of law enforcement by stigmatizing and overpolicing neighborhoods of color, thus helping to create the ominous label “inner city.” Simply put, the “war on drugs” increased both the perception and also the actual instances of crime in African-American and Latino communities. The results have been devastating. In her bestselling book, The New Jim Crow: Mass Incarceration in the Age of Colorblindness, Michelle Alexander examines this phenomenon in detail. She says there are only two possible explanations for the disproportionate number of minority-committed crimes: either minorities are innately more prone to violence, or policies and attitudes have contributed to the disparity. What does all this have to do with our Christian faith? Announcing his earthly ministry, Jesus proclaimed: “The Spirit of the Lord is on me, because he has anointed me to proclaim good news to the poor. He has sent me to proclaim freedom for the prisoners and recovery of sight for the blind, to set the oppressed free, to proclaim the year of the Lord’s favor” (Luke 4:18–19). This prophetic vision—originally announced in Isaiah 61 and realized in the person of Jesus—has present, future, social, and spiritual dimensions. And to faithfully exegete Scripture and embody our call as kingdom citizens, we must embrace them all. The perfect justice Jesus forecasts for his eternal reign becomes inaugurated in miniature on earth as his followers advocate for justice to be done on earth as it is in heaven. The sobering story of 13th and the brokenness of our justice system is a foil to the righteousness of the kingdom we long for. Even if we don’t all agree on the reasons why America’s prison system incarcerates more image-bearers than anywhere else in the world, hopefully we can agree it’s a tragedy that falls far short of the Bible’s vision of human flourishing. And when we consider the ways mass incarceration has disproportionately affected particular populations, it becomes even more troubling; the injustice reveals partiality, and partiality is sin (James 2:1). Watch 13th on Netflix and educate yourself about mass incarceration. Alexander’s The New Jim Crow and Bryan Stevenson’s Just Mercy are good places to begin. Respond with how God calls his people to when they observe injustice: lament. See Psalm 79 for an example. We can lament the brokenness in the justice system that has resulted in broken families, broken lives, and broken faith in a system meant to be oriented toward justice for all. Work toward solutions to counteract unfair outcomes that tend to “condemn the righteous” and “justify the guilty” (Prov. 17:15). We can also practically serve the prisoner. Prison Fellowship is featured in 13th, offering a reminder that Christians can serve in prison ministry and so live out Hebrews 13:3. Brothers and sisters, can we see the brokenness in our world and also hope for justice for the sake of Christ? If we listen to and process the painful stories told in this documentary, we will be reminded that depravity pervades every human society and every human institution. Only then will we see how Jesus goes deeper still. Editors’ note: This article has been updated to include an audio conversation with Rasool Berry, Jason Cook, and Alan Noble going deeper on some of the issues discussed in the review and responding to readers’ comments. Rasool Berry is the leadership development pastor of the Bridge Church in Brooklyn, New York. He received his BA in Africana studies and sociology at the University of Pennsylvania.